Resolving 4 Air Conditioning Noise Problems – Why AC Systems Make Noise? Written by Rm Harrington on . Posted in AC Repair, HVAC Maintenance. All air conditioning systems produce some measure of noise. Expect it. Not as a major chatter, but rather as the general hum of any fan-driven air delivery system. But there is much distinction between AC systems that clang, jangle and rattle versus a system that outputs a defined and acceptable air conditioning operational hum. In this article, the techs at American Cooling and Heating detail four fixes for common excessive air conditioning noise problems. Written by Rm Harrington on . Posted in AC Repair, AC Service, Heating. Las Vegas, January 19, 2016: Indoor home comfort systems provider, Trane Heating and Cooling division of Ingersoll Rand breaks 25-year record with release of the most advanced Trane furnace platform in a quarter century. Along with an extended collection of effective, efficient and reliable residential indoor comfort systems, the new Trane S-Series Furnace rocks the 2016 International Builder’s Show (IBS 2016). “When installing Arizona residential heating and cooling equipment, ACH takes hold of Trane heating and cooling products as a resource to the best possible performance in indoor home comfort equipment,” Mr. Scot Morgan, President American Cooling and Heating. How does a leader in the home indoor comfort industry go about producing a new furnace platform? It starts with a revamp from the core up. It also includes professional input from a select group of contractors, homebuilders, HVAC installers and nationally recognized heating and air conditioning technicians. Yet it even exceeds the expectations that such a collaborated effort can focus on every aspect of modern air conditioning technology. In short, the Trane S-Series Furnace evokes the technology of the industry’s first integrated furnace control board. And a Trane Heating and Cooling IBS 2016 Showcase of Superior Furnace Technology. 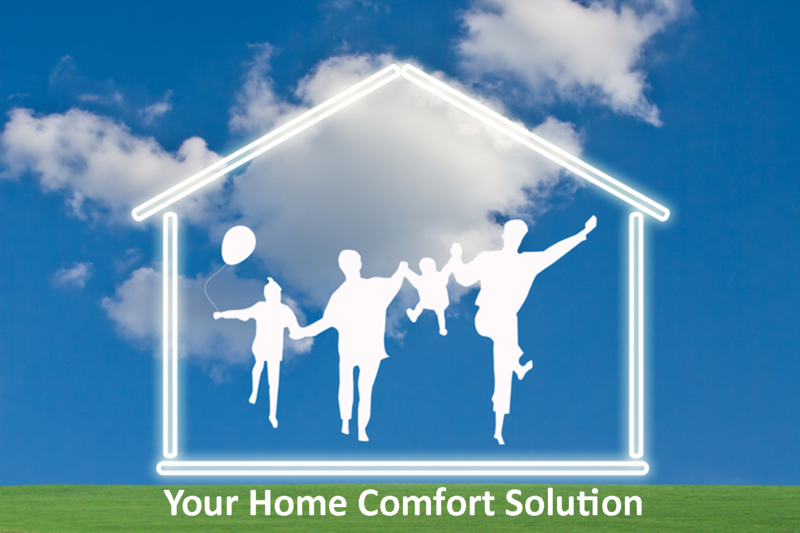 Precision indoor home comfort demands the efficiency of the Trane TruComfort™ variable speed air delivery system. Outside temperatures tend to drift: From low to high and back to low and from high to low and back to high. With the right type of installed HVAC equipment, this natural process can be used to help craft better system efficiency. 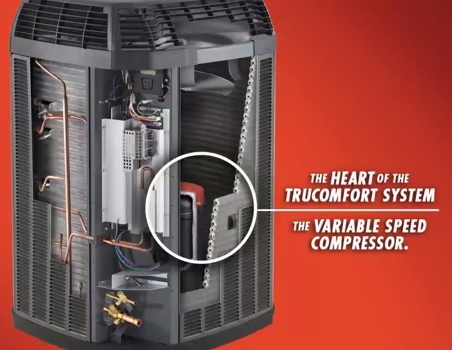 Trane TruComfort™ systems employ a state-of-the-art technology performs that very task. By operating at precise speeds as necessary to insure optimal home indoor comfort, the unit enables the indoor/outdoor fans and the compressor to function at variable-speed efficiency. Furthermore, the system BTU changes according to the changes in the outdoors temperature. Speed variations are incremented in bites as small as 1/10 of one percent. Heat management can be zeroed in to as little as ½ degree of any given thermostat setting. To make the most of your Arizona residential heating and cooling dollar, ACH also recommends that you investigate the performance of a Trane variable speed A/C system. Running at 22 SEER, the Trane XV20i gains industry recognition as one of the more efficient home air conditioning systems. At IBS 2016, Trane also talked up the XC95m Modulating Furnace. Running with up to 97.3 percent efficiency, these units just plain kick the competition out of the water. Both the XC95m Modulating Furnace and the Trane TruComfort™ variable speed air delivery system incorporate Trane ComfortLink™ II communicating technology. This means all primary system components can connect as one for the most in optimal Arizona residential heating and cooling performance. No Trane orientated PR can go without also mentioning the Trane CleanEffects™ response to America’s demand for improved indoor air quality. This patented breakthrough in modern air management technology delivers 99.98 percent efficiency in removal of bacteria, cooking grease, dust, fungus, mildew, pollen and more from your Arizona indoor air. Trane CleanEffects™ for quality Arizona indoor air home comfort. Nor can we close out without a word of praise for the Trane Nexia™ Smart Home System. Homeowners demand control of all their Arizona residential heating and cooling products. Nexia™ fits the bill. The system integrates all compatible smart devices into an efficient one-app solution that can be managed from anywhere and at anytime via installed WIFI connections. Bridge the gap. Adjust home heating and cooling controls. Monitor indoor and outdoor temperatures. Built on integrity and quality workmanship, ACH was founded in 1993. Services include full-home heating and cooling management as well as industrial and commercial air conditioning installation and management. With years in the HVACR industry, American Cooling and Heating has identified, employed and trained the best A/C technicians and craftsmen in the state. All members of the ACH team must pass intensive background checks, drug testing, skill related testing, and the final company stamp of approval. Written by Rm Harrington on . Posted in AC Repair, Air Conditioning Technology, Home Maintenance. Troubleshooting a Mesa home air conditioning unit often exceeds the technical know-how of the average homeowner. Yet knowing a bit about the process can help you to better understand the reasons behind the A/C troubleshoot steps as performed by your local HVAC service tech. This doesn’t mean that you should annoy the tech with an over-the-shoulder gawking. 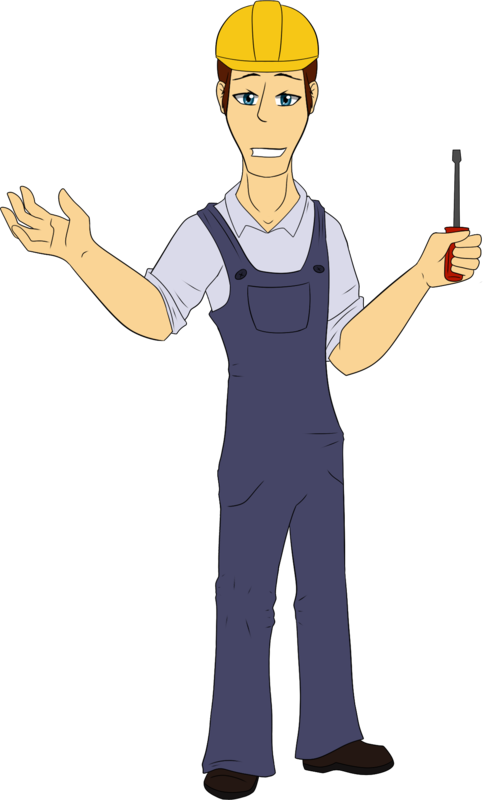 However, many mechanical professionals tend to take a bit of pride in helping the homeowner better understand the basics of air conditioning troubleshooting. When a tech arrives on site, they sometimes find a system that is either dead or acting dead. This means the tech will be checking breakers, disconnects, fuses, and other power-related heating and cooling system problems. Yet more often than not, “dead cooling” does not include a dead power source. In this lesson on basic A/C troubleshooting, we want to focus on a unit that runs but fails to efficiently cool your home. So here are some of the points that your local Mesa air conditioning tech will likely investigate. 1) Evaporator and Condenser Fans – To cool effectively and consistently, the motors installed in your home A/C system must be rightly designed for the unit. This means the tech needs to check the fans to ensure that they are of the correct horsepower. Also, although it may seem a no-brainer, the testing must also ensure that the fans are set to the specified rpm and that they are turning in the correct direction. Cleanliness and size is also important. So expect the tech to confirm that your blower blades are right-sized, right-pitched, and clean. 2) Air Flow – To provide persistent and reliable Mesa home cooling, the condenser on your A/C unit must be supplied with normal outside air. This means the tech needs to ensure that no other devices are pumping hot air against the condenser. Checking the condition of the system filters is also part of the preliminary air conditioning troubleshooting process. 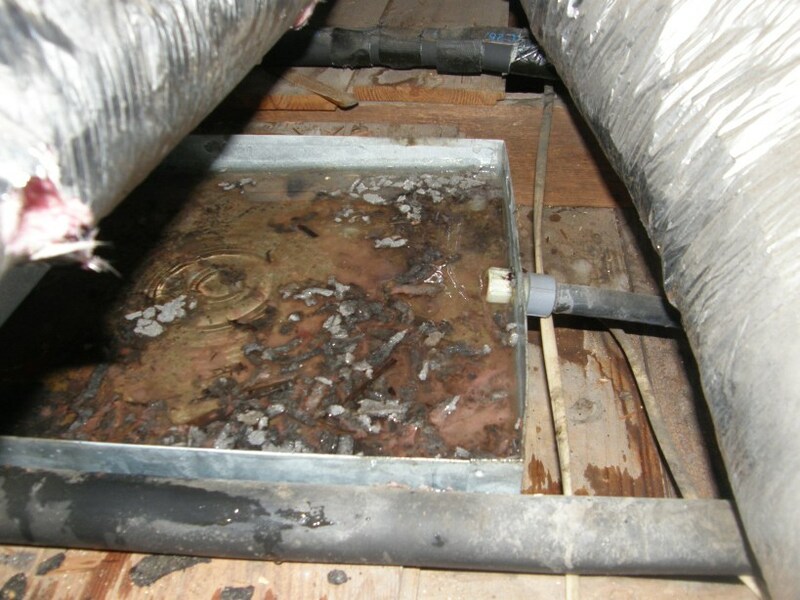 You may also see the A/C tech investigating the condition of your evaporator supply and return ducting. You don’t want to lose cool air due to leaks in the ducting. Neither do you want the system drawing in warm outside air into the ducts. 3) Cleanliness – We already talked about making sure the blower fans are clean, but the tech will go further. He or she will also investigate and ensure that both the condenser and the evaporator coils are clean and that nothing is blocking the expected rate of airflow. 1) Refrigerant – The HVAC testing gauges are in place. The pressures are equalized, and the unit is switch off. Now the tech verifies that your Mesa home A/C contains the specified level of refrigerant. To perform this test, he or she will take a temperature reading of the evaporator coil. What is he or she looking to see: A reading that matches the chart or the pressure/temperature reading on the low side of the testing gauge. By now, the tech has either asked you to “give some space” or he or she has shown you what to look for when reading the HVAC gauges. But now… All checks well yet the system still fails to cool your home. Check the Capacity – This means the tech will now to investigate the web bulb returns on the air as it enters and leaves the evaporator. There will be some calculations involved. And unless the tech has the memory of an elephant, he or she will pull out an enthalpy conversion table or a pshchrometric chart. What exactly is being tested: How much btu of heat is being absorbed by the evaporator. The tech is making a comparison between the running capacities of your system against the design capacity of your system. This helps the A/C tech determine whether your Mesa home cooling system is sufficient to handle your home. Any system that is operating within reasonable range of the design capacity but still fails to persistently and efficiently cool a given space is just plain too small for the task. So now that you are up-to-snuff on basic air conditioning troubleshooting, call in your local Mesa home AC service team. Contact American Cooling and Heating today. Any HVAC service should only be performed by a licensed, fully trained, and competent person and/or company. The contents in this article reflect accumulated data from various sources. ACH cannot and does not accept any legal responsibility to any person in respect of anything or the consequences of any reader responses, actions or lack of actions associated with reliance upon the whole or any part of this article and its content. All trademarks, logos, and associated content displayed are the property of their respective owners. Written by Rm Harrington on . 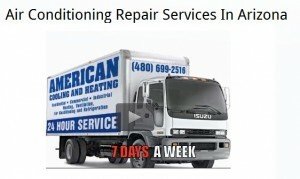 Posted in AC Repair, Cooling Tips, Maintenance. Sometimes even a reliable HVAC service contract through the very best HVAC maintenance firm fails to prevent the need for a bit of rushed homeowner-handled air conditioning troubleshooting. Facts are simple: A well-serviced home A/C system typically runs without a great deal of unexpected complications. However… Simple accidents and minor process failures do occasionally demand attention. When you call a quality well-staffed HVAC service center you expect a rapid and often same day response to your home heating or cooling problems. Yet quick service does not always ensure that you will not lose a few hours of work time, or vacation time, or perhaps miss a baseball game you promised to attend. Thankfully, some of the basic functional problems associated with your typical ducted split-type home air conditioning system can be corrected in record time by you the homeowner. The following tips are not designed to replace scheduled routine HVAC maintenance and service processes. However, this guide will help you check for a quick solution in a tough home cooling or heating situation. It’s not about trying to save the cost of calling in an A/C repairman. It’s just about avoiding loss time when the problem could be handled by a bit of basic air conditioning troubleshooting. The following tips are not all-inclusive. Furthermore, we make no effort to evaluate your knack for performing A/C troubleshooting processes. If you do not understand the steps involved in a given process, call someone better qualified for the job. Confirm that the thermostat/controller temperature setting reflects your cooling expectations and that the unit is set to cooling rather than heating or off. 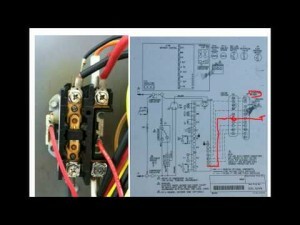 Check and if necessary reset the main HVAC breaker in your home circuit breaker box. Also check the breaker that is typically located near to modern A/C condensing and heating units. Visually confirm that both the indoor air handler and the outdoor condensing units are physically running. Visually confirm that the outdoor condensing unit is not frozen over with ice. 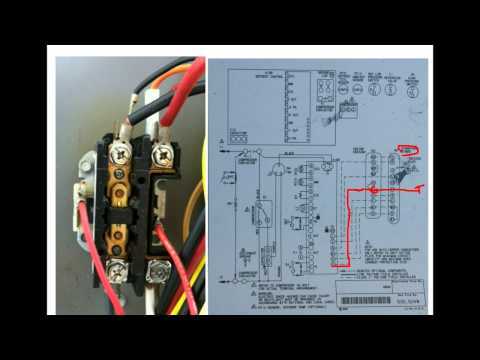 Disengage the main HVAC breaker at your home circuit breaker box. Wait at least one hour before restarting. This may force the system to reset itself. Ensure that all air filters used in any of your HVAC system components are clean. Replace if necessary. If your system is under an A/C maintenance contract, report the issue to the service provider. You may need to install a better grade of filter or isolate the cause for excess dust in your home. Visually examine any external or internal units for signs of water accumulation in, near or own the exterior or indoor coil enclosure. Ice accumulation on the external Air Conditioning condensing unit is easily to spot. On the inside unit, be it in the attic, basement or crawlspace, hand test for an excessively cold exterior surface. Remove any clogs blocking the exhaust pipe on the drain pan (See illustration). If there are not in the exhaust pipe, this homeowner-handled air conditioning troubleshooting secession should be promoted to the professionals. In the mean time, protect your floors and attic by turning the system off. If the compressor fails to start, there is not much the average homeowner can do. The problem can relate to a bad compressor or merely a system that is low on refrigerant. 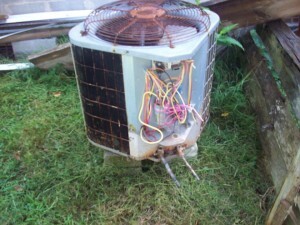 To fix, call your local HVAC service center. If the condenser fan fails to turn but the compressor starts, the problem may reside in the condenser fan motor. This repair is also beyond the scope of the average homeowner. Call in the pros. Measure the temperature difference between the air leaving the air handler and the air entering the air handler. Modern high efficiency air conditioning systems typically run with a near 15-degree drop. Older units may show as much as 18 to 20 degrees difference. Temperature drops that are below the norm indicate that your system is low on refrigerant. Call in a local HVAC service tech to correct the problem. Temperature drops that greatly exceed the door indicate that the system is suffering a problem with the airflow system. Clean or replace the air filter. If that does not resolve the problem, ensure that the evaporator coils are clean. It that too fails to resolve the problem, clean the blower wheel. Possible causes also include improper system design and/or installation, an incorrectly sized duct system, or simply a failure to perform routine HVAC maintenance. The preceding air conditioning troubleshooting tips are geared toward homeowners who are seeking a quick fix for a simple and basic HVAC heating or cooling issue. Perhaps you need greater details and a move advanced air conditioning and heating tips guide. Have no fear. Check out the American Cooling and Heating consumer literature page. It’s under the Tips menu. There you can find ACH links to News, Certification study guides, and various other A/C related consumer literature. Written by Rm Harrington on . Posted in AC Repair, Home Maintenance, HVAC Maintenance. In this region of unique heating and cooling requirements, Arizona homeowners have come to expect reliable air conditioning services accompanied by flexible HVAC maintenance agreements. The age of one-size-fits-all has pasted us by. Local climate makes heat pump heating ideal for winter use thus the need for additional furnace equipment gets a bit obsolete. It’s just not all that cold during the Phoenix winter. Get better pricing on HVAC maintenance service contracts. In this modern society, homeowners want protection with options. They also seek to establish relations with a trustworthy service center. Company performance during and after HVAC maintenance services help homeowners meet these goals. But there is yet much more to be gained. A well-maintained heat pump can provide effective energy-efficient heating and cooling with long-term cost savings that reach far into the homeowner’s future. Furthermore, a clean and functional heat pump helps the environment while also adding value to the home. Examine gas/oil connections and associated functions such as burner combustion, gas pressure and the condition of the heat exchanger. Note… Homeowners are typically responsible for cleaning and or changing filters. Precision HVAC Tune-Ups or Professional HVAC Cleaning: What’s In It For The Homeowner? Although there are several reasons why a Phoenix A/C service center may offer homeowners an HVAC M/A, “repeat business” stands as the primary factor behind this business choice. According to Decision Analyst, the company that holds a homeowner’s maintenance agreement usually gains the order when system replacement comes due. In short, providing an air conditioning maintenance agreement typically eliminates the competition. But what’s in it for the homeowner? And reasonable A/C maintenance pricing. Ok. It’s really not reasonable to expect a full-service warranty agreement on an aged and obsolete heating and cooling system. However, when a homeowner is seeking a maintenance agreement for a system that is still under warranty, the service provider incurs no liability beyond labor. This means that replacement of parts can be priced into the maintenance agreement. It may result in a bit higher pricing, but it can be money well spent. AND… of course, if the company holding the agreement is also responsible for the Arizona Heat Pump installation of the warranted unit, the options for better coverage become even more acceptable.